This website is drafted by and falls under the responsibility of Domicilium. NB : the information contained in the English version of this website is merely a translation of the French for its reading and potential understanding. The French text will take precedence. 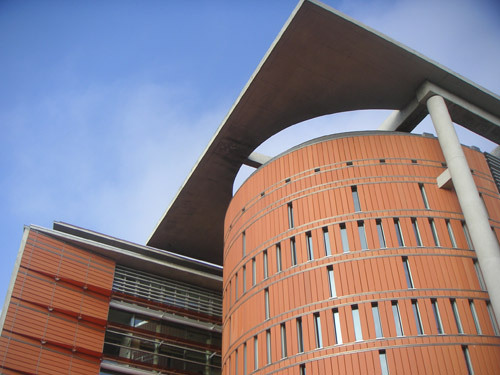 Internet Address : http://www.domicilum-realestate-toulouse.com/ ; this site has been registered for downloading personalized information to the “Commission Nationale Informatique et Liberté” (CNIL n°1251238). Domicilium's business involves finding property for seekers of such. Domicilium’s remuneration consists in fees charged for finding a property for the prospective buyer. There is a search contract binding Domicilium and the buyer. The fees are settled in the presence of a notary after the sale has been legally concluded. The fees include all taxes except notary fees. Domicilium holds a Professional Licence for “Transactions on immovable property and business”. Permit n° CPI 3101 2018 000 026 816 delivered in Toulouse by the CCI - Haute-Garonne (31). is also covered by a Professional Civil Liability (RCPSAA) : Sérénis Assurances, 34 rue du Wacken, 67906 Strasbourg (contract n°VD 7.000.001/17025). Domicilium’s bank is the Crédit Mutuel : Agence de Castanet Tolosan, 37 rue Jean Ingres (31320). While surfing on the present site you may be asked to contact Domicilium and to leave details concerning your address, E-mail, telephone number or fax number. You may also be asked to fill in a form. All this information is strictly confidential and is not to be passed on to a third party “natural or legal” for free or for any form of payment. In accordance with lows regarding disclosure of personal information via the internet or any other electronic means (French law “Informatique et libertés” modified code n°78-17 of 6th january 1978), you have every right to access, modify, suppress data of a personal nature. You only need to contact us by Email or by post at the following address: Domicilium, 15 rue Saint-Bernard, 31 000 Toulouse, France. The laws and regulations currently in force apply to the Internet too. Therefore any user of this site is bound to respect, amongst others, the conditions imposed by the above mentioned law of the 6th January 1978 concerning this web site, its data, and any confidential information obtained via the internet. Infringing any of these conditions will automatically lead to penal sanctions. As for data on individuals to which you have access on this site, you should refrain from downloading it, using it fraudulently or in any other way that could cause discredit to the reputation of the persons concerned. Domicilium has taken the greatest care to ensure that the data available on its site are correct and trustworthy. However the risks of errors are still there, so Domicilium advises all its users to check all needed information. In no way does Domicilium guarantee the absolute veracity of the data provided, therefore all who access our site do it at their own risk. Consequently, Domicilium cannot be held responsible for any direct or indirect damage, based on information derived from the site by fraudulent means of a third party or third parties. Moreover, Domicilium reserves the right to alter, modify or remove whatever data it judges necessary without prior notice to its users or clients. The site is accessible on a 24 hour basis, the whole 7- day week. However, it cannot be held responsible in case of unavoidable breakdown of communication due to circumstances beyond its control, electricity supply interruption or any malfunctioning of internet connections. Domicilium cannot guarantee the absence of virus that could harm the hardware of users of its site causing minor or serious damage or loss of data or money to users. For maintenance purposes, Domicilium reserves the right to close all access to its site; but should that be the case, it will do its best, within reasonable means, to give prior notice to its clients and users. Domicilium, its web site and its logo are registered trademarks at the Institut National de la Propriété Intellectuelle (French Registered Trademark) - INPI : 06 3 461 289. The company holds the rights to the general layout of the site, its map, its software, its text and its iconographic representations - animated or non-animated - and its photographic representations. Any reproduction, modification, transmission or retransmission of any part of its material in any form whatsoever is prohibited. So unless permission has first been sought and obtained by Domicilium, any use of its site data would be considered as a breach of the law by the user regarding author’s rights and is punishable by law. The Hypertext connections are provided for the personal benefit of users. Domicilium has no control whatsoever on the information contained on these additional sites. The existence of hypertext connections between Domicilium’s site and the sites of other companies or agencies in no way involves its responsibility as far as the content or use made of the information derived from these connections. It is thus the sole responsibility of the user to take the necessary precautions to ensure that there is no virus on the other sites accessed. For all information or queries about Domicilium’s site, do not hesitate to contact us by E-mail (contact@domicilium.fr) or by post at the following address : Domicilium, 15 rue Saint-Bernard, 31000 Toulouse, France. The site and its use come under the control of the French jurisdiction.